We’ve gone a little bit mad with the sand castles. Max was off school last week, but Gabriella wasn’t, so we couldn’t go away anywhere. Instead, Max and I visited a significant number of beaches. 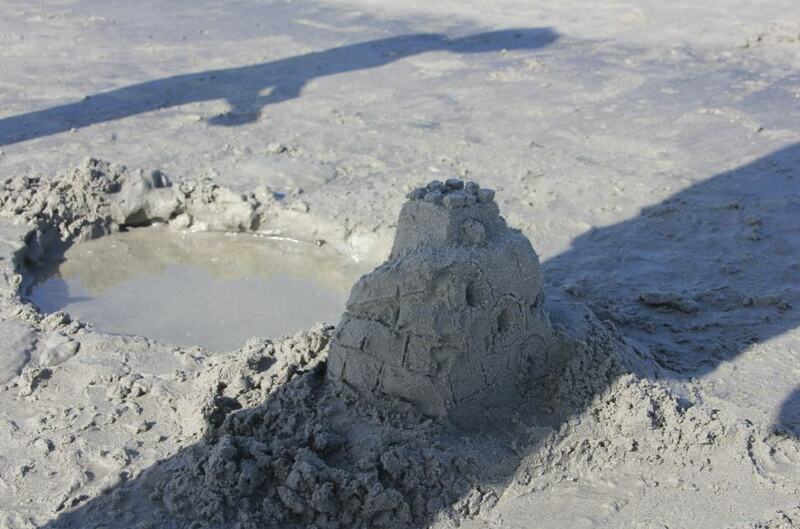 We were on a mission to build more sand castles, now that we’ve learnt how to do it properly. 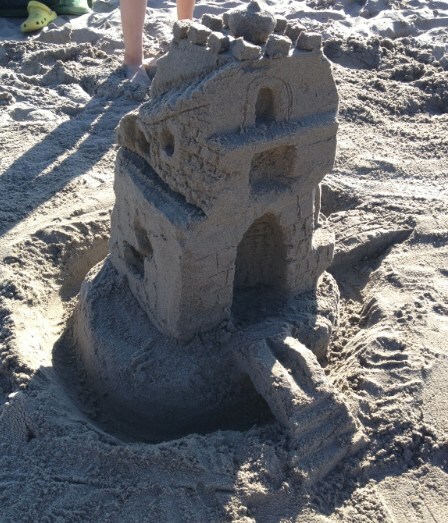 On Monday, we built a tiny, simple castle on Coronado beach (while we were still in San Diego) using the plop and jiggle method. On Wednesday, we were beaten by the incoming tide on Stinson Beach. 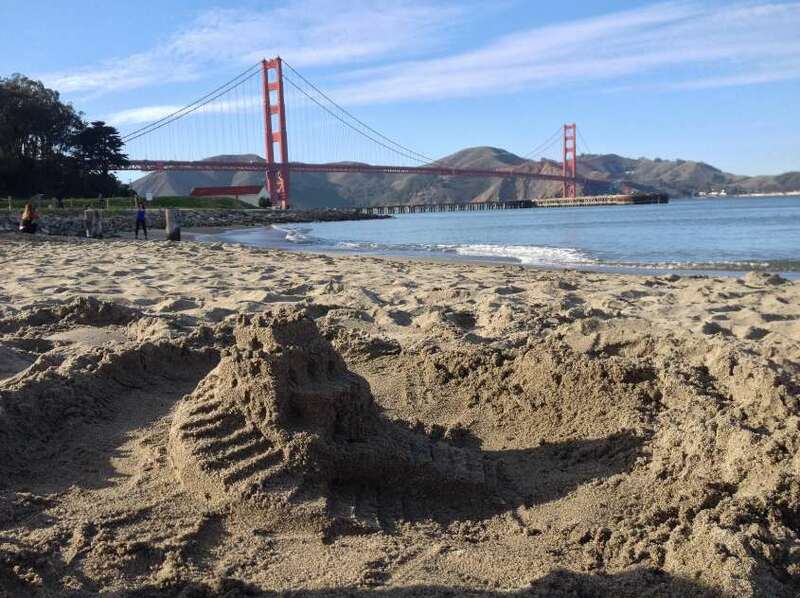 On Thursday, we managed to build a small, semi-decent castle on Crissy Field Beach that was interesting enough to capture the attention of a few passing four-year-olds – a little too much attention, actually. That one didn’t stay intact for very long. 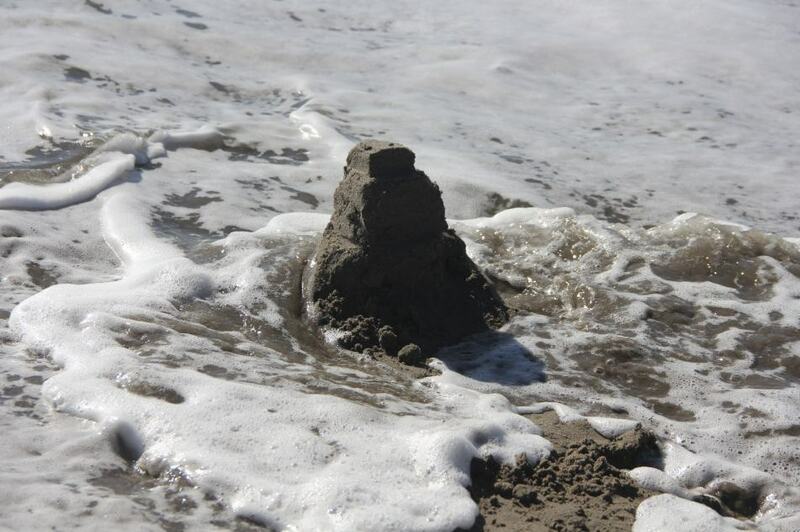 And on Saturday, we created a masterpiece on Stinson Beach using the more professional method of construction that JT taught us in San Diego. But as we’ve been erecting these inexperienced, mostly-motley structures, I’ve been thinking about Confucius and his quote that if you do what you love, you’ll never work a day in your life. 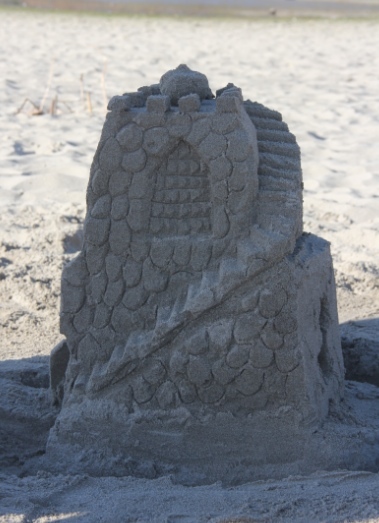 JT, our sand castle teacher, has been a massage therapist, a Maths teacher and an accountant in the past. Those were “proper” career choices, but what he really loved was going to the beach and building sand castles. So he made a business out of it. It’s a slightly crazy job choice and probably won’t make him a millionaire, but he’s deliriously happy and he says the sand sculptures attract interest, conversation and new friends. In other words, he’s not working and it’s not a job. I’ve discovered, during this week of crazy sand castle building, that as long as I get to build a sand castle (and I’m wearing flip flops instead of real shoes), I like sandy beaches. But I don’t think I’m crazy enough to make sand castles my job.